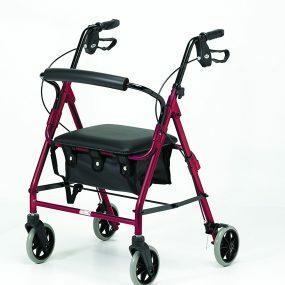 Unique product, Three leg Walker incorporating useful seat. British made to very high standard. A most popular choice. 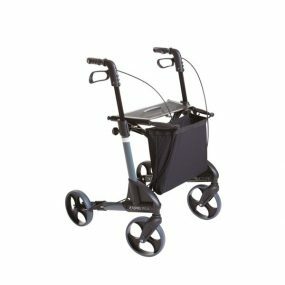 Beautifully made, sturdy and lightweight. 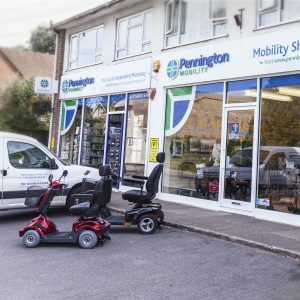 This ultimate 3-leg walking frame is not only lightweight but is almost unique in that it has a built in rest seat and is packed with features. 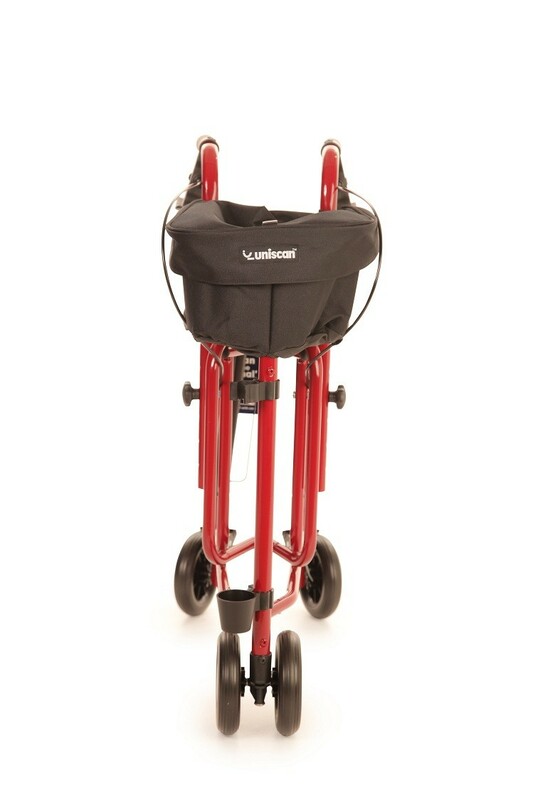 Standard features include locking lever cable brakes, adjustable height handles, rest seat, folds flat, clips together and stands for easy unsupported storage, front mounted caddy with zipped pocket and walking stick holder. Made in the UK. 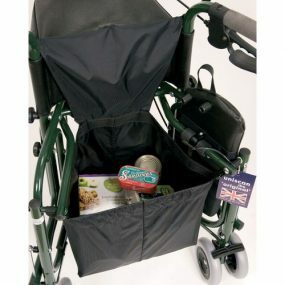 Additional shopping bag also available. 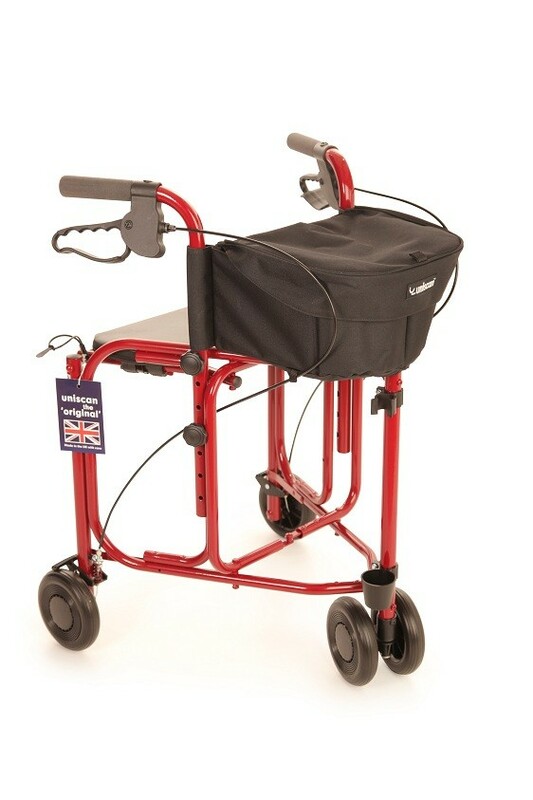 Specifications: Weight of frame – 14lbs (6.5kg) Seat height – 21″ (53cm) Handle Height – 4 settings in 1.5″ (38mm) gaps – 31.5-36″ (80-91.4cm) We stock a range of colours ready for purchase. Alternatively, this walker can be produced in a number of other colours to order, please contact us for more information on these options. Uniscan Triumph shopping bag. Large capacity. Easy to fit.